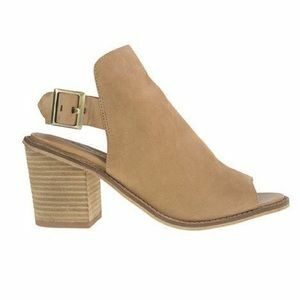 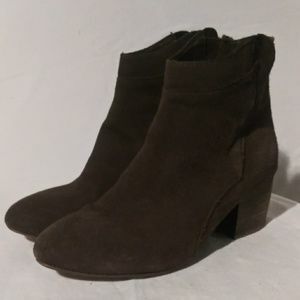 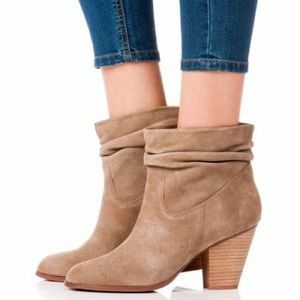 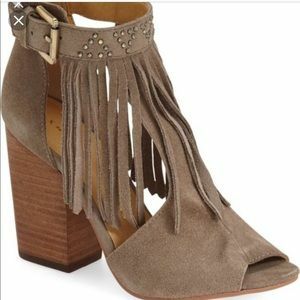 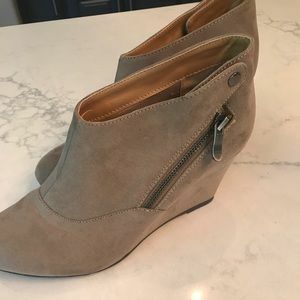 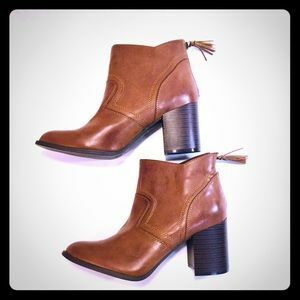 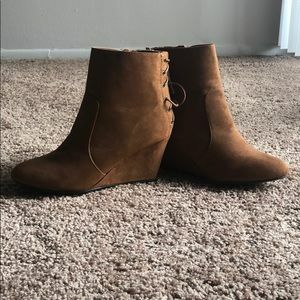 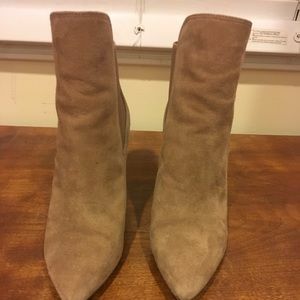 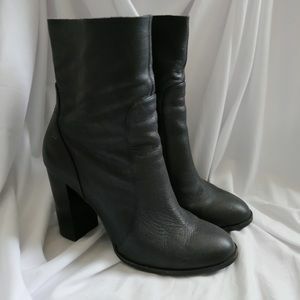 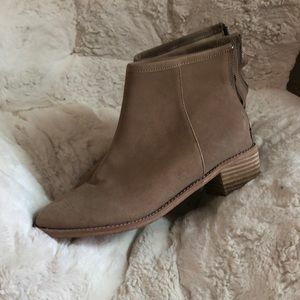 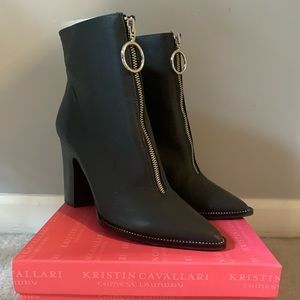 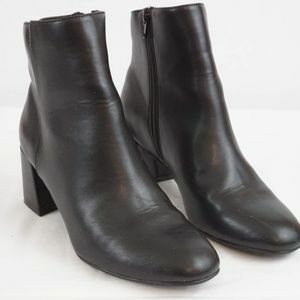 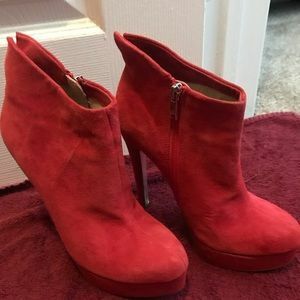 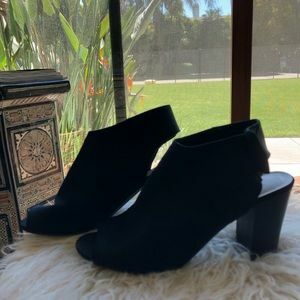 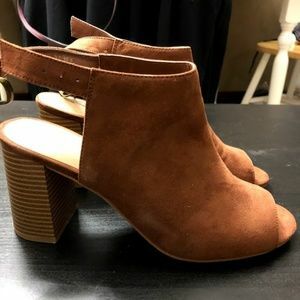 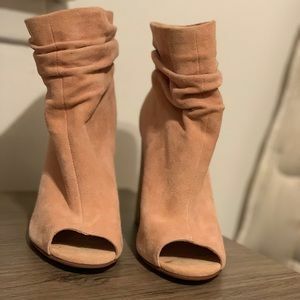 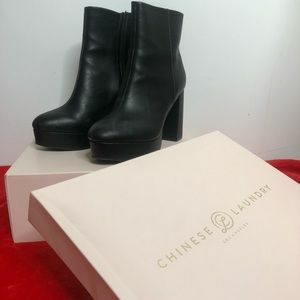 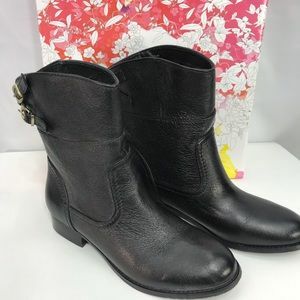 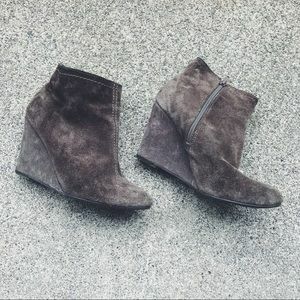 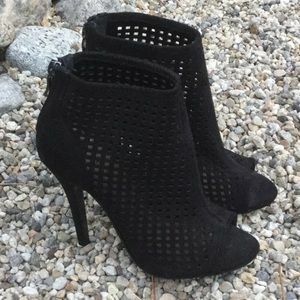 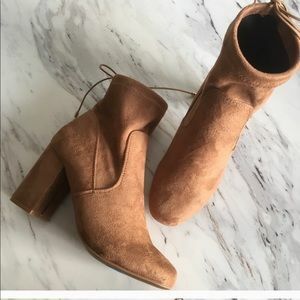 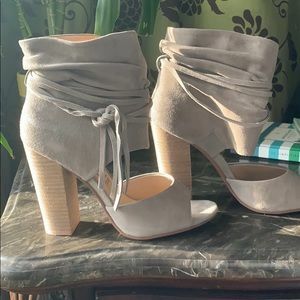 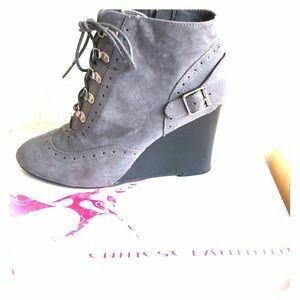 Chinese laundry by kristin cavallri lovely booties Size 7.5 Elevate your style with the Lovely. 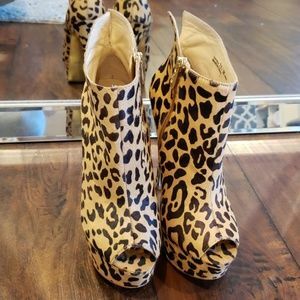 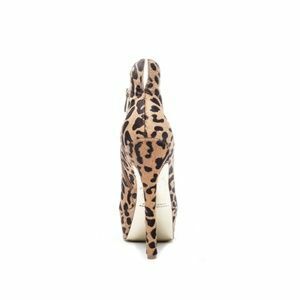 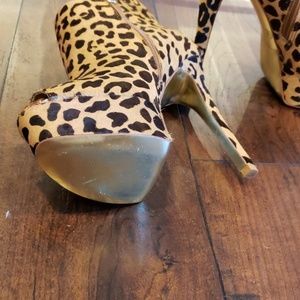 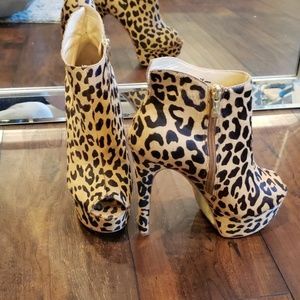 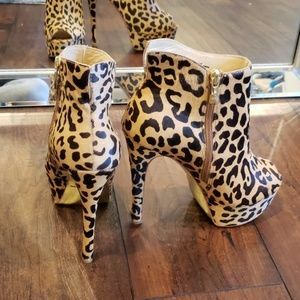 Step out in these fabulous leopard peep-toe booties with a 5.5" heel and a 1.5" platform. 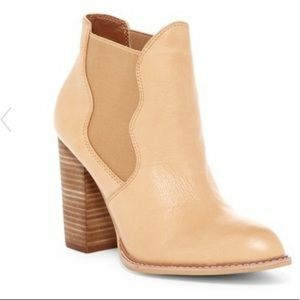 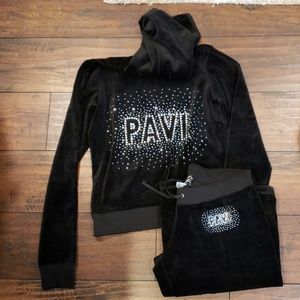 The subtle collar in back adds to the simple elegance; easily sink in with the side zip. 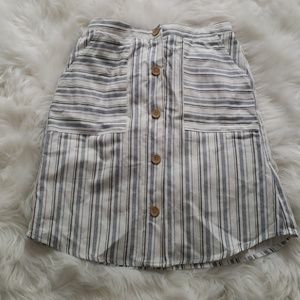 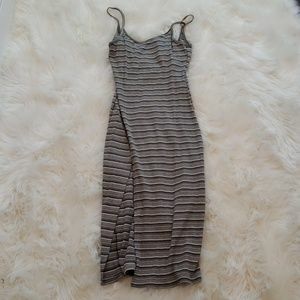 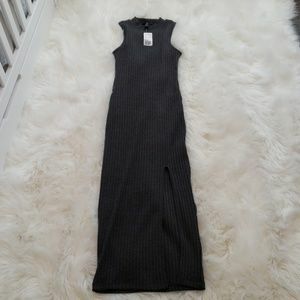 By Kristin Cavallari for Chinese Laundry. 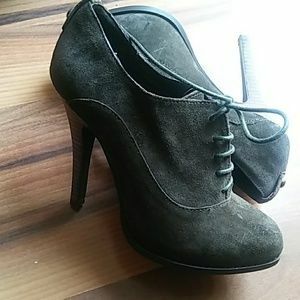 Calf hair, 5.5" heel, 1.5" platform.